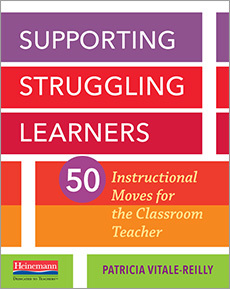 When Readers Struggle: Teaching That Works is a comprehensive resource on struggling readers. It’s filled with specific teaching ideas for helping children in kindergarten through Grade 3 who are having difficulty in reading and writing. We want these young students to think and behave like effective readers who not only solve words skillfully but comprehend deeply and read fluently. To achieve our goal, we need to place them in situations in which they can succeed and then provide powerful teaching. Gay Su Pinnell and Irene Fountas offer numerous examples and descriptions of instruction that can help initially struggling readers become strategic readers. When Readers Struggle: Teaching That Works focuses on small-group intervention and individual interactions during reading and writing. Pinnell and Fountas also illustrate how to closely observe readers to make the best possible teaching decisions for them as well as how to support struggling readers in whole-class settings. 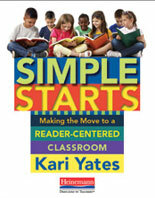 Find immediately usable answers to your questions about struggling readers from educators you trust. 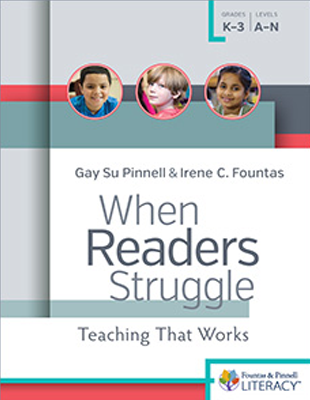 Read Pinnell and Fountas’s When Readers Struggle: Teaching That Works and find teaching that works for struggling readers.